Elegant upholstered bed with soft upholstered, stepless adjustable headboard. The PAD bed - in the variant offered here - is equipped with a padded adjustable headboard, which increases the comfort even further with a smooth-running and continuously adjustable fitting. 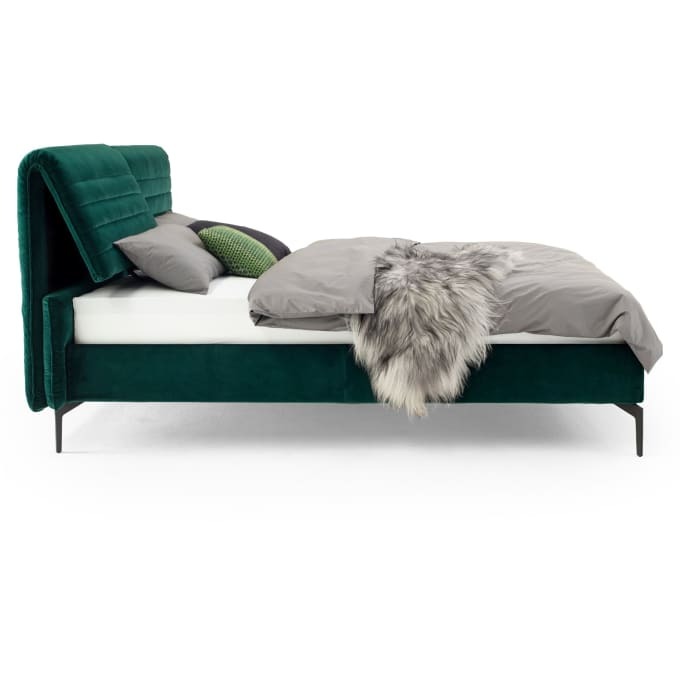 The upholstered bed can be ordered with a non-adjustable headborad as well. Do you have a question about "Pad (adjustable)"? How can we contact you?